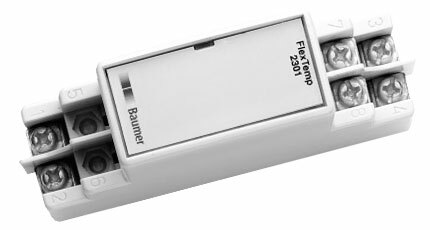 Fully user-configurable, temperature transmitters are available with varied process connections in standard or hygienic designs. 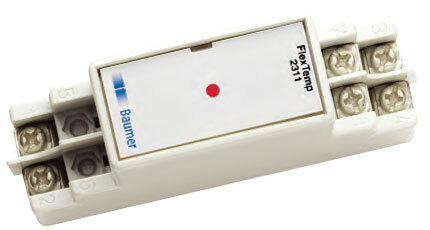 The temperature transmitters, sensors and displays can be freely configured by the user and have a variety of process connectors which conform to standards and hygiene regulations. They come to you in compact stainless steel or industrial strength housings, on request with a graphical display, optionally with a built-in transmitter or in a Pt100 version. 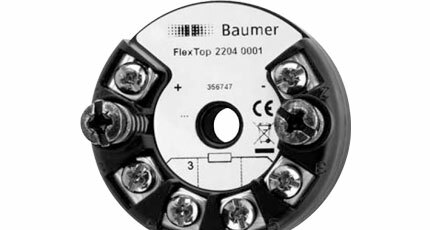 Whether you are looking for the greatest precision or simply to be robust – in our Baumer portfolio you will always find the right solution. As others have for over 60 years! El. 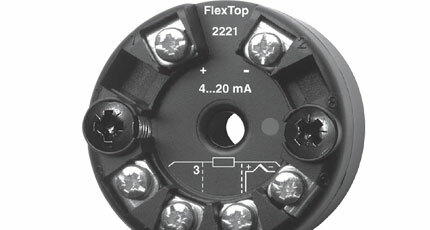 connection M20, option M16, M20 marine app. It is believed that Galileo invented the liquid-in-glass thermometer around 1592. Thomas Seebeck discovered the principle behind the Thermocouple —the existence of the thermoelectric current—in 1821. The same year Sir Humphry Davy noted the temperature dependence of metals, but C.H. Meyers did not build the Resistance Temperature Detectors (RTD) until 1932. The development of temperature sensors was a slow process until the middle of the 20th century. 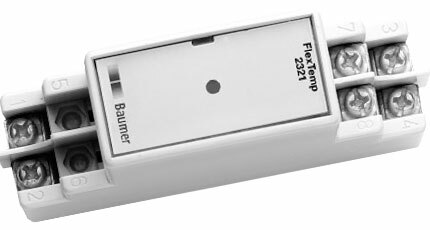 Today the application engineer can select from among over 20 different types of thermometers. 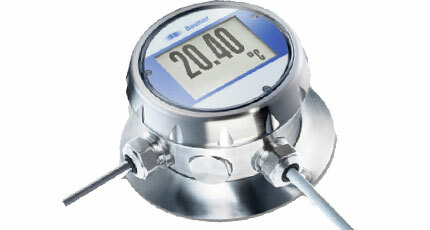 In addition, the old practice of using only filled system thermometers, RTDs, or Thermocouples throughout a particular industrial plant is giving way to the practice of selecting each temperature sensor for a particular application, just as each level or flow meter is individually selected. This requires a better understanding of the features and capabilities of the many thermometers on the market. A TC is an assembly of two wires of unlike metals joined at one end designated the hot end. At the other end, referred to as the cold junction, the open circuit voltage is measured. Called the Seebeck voltage, this voltage (electromotive force) depends on the difference in temperature between the hot and the cold junction and the Seebeck coefficient of the two metals. For a plot of the relationship between temperature and output signal. For most industrial applications, the TC has been the popular choice over the years for a variety of reasons. 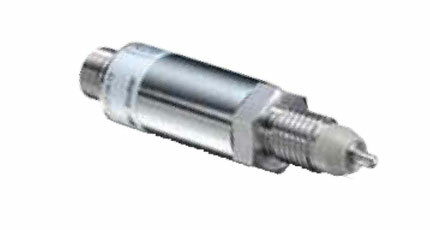 Thermocouples are relatively inexpensive and can be produced in a variety of sizes. They can be of rugged construction, can cover a wide temperature range from 440 to 5000°F (262 to 2760°C), and are available in both standard and premium grade models. RTDs are constructed of a resistive material with leads attached and usually placed into a protective sheath. The resistive material may be platinum, nickel, or copper with the most common by far being platinum. 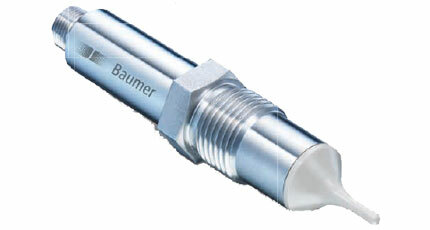 As with Thermocouples, there are some applications where an exposed sensor is suitable for the purpose. 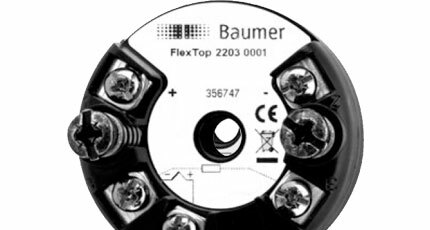 More commonly they are manufactured with a protective sheath that provides a hermetic seal to protect the sensor from moisture and/or contamination. These protective sheaths are offered in a variety of lengths to provide the proper insertion into the process to obtain a representative measurement. 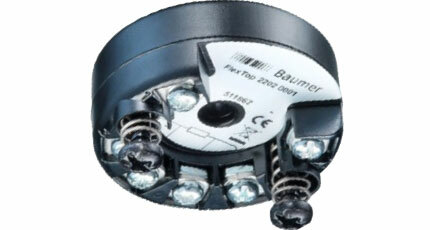 RTDs are available in 2-wire, 3-wire and 4-wire configurations whereby 4-wire configurations greatly reduces errors. 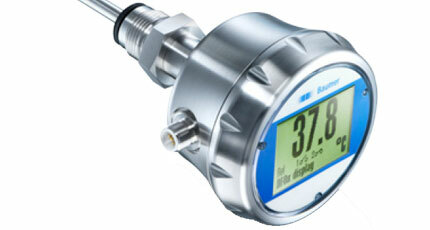 Petrotek is a specialist when it comes to the topic of temperature measurement, be it electronic or mechanical devices. 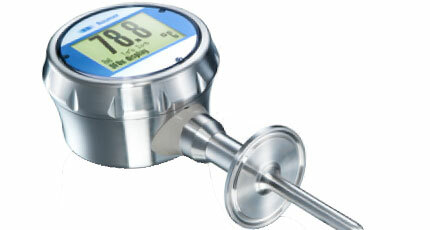 For years, Petrotek has supplied measurement instruments including temperature transmitters made only by the most reputable manufacturers who have stamped their mark on the world market of temperature measurement instrumentation. Let Petrotek’s strong engineering team be your partner in solving all your temperature measurement requirements. Petrotek’s RTDs and Thermocouples are designed to have a minimal error for your everyday process temperature measurement. Copyright 2016 PETROTEK SDN BHD (31336-K) All rights reserved.